Following on from the previous post about the Tenth Ray, and its association with Venus as its frequencies enter the Earth’s light-grid, Venusians (5D humans, members of the Galactic Federation fleet) have been in close contact with me during the last week. This has come with visions/memories of a Venusian incarnation and details of the ‘landscape’ of 5D Venus, which is lush and beautiful, rich in flowers and plant-life (crystalline rather than carbon-based, in the 5D+ frequency).The Venusians are a wonderful example for Earth humanity of a similar race in our own star system which lives in peace, harmony, love, and joyful creativity. They say their numbers here will be increasing as Earth humans move closer vibrationally, at a collective level, to the range in which mass contact is possible. During the afternoon of November 5th, chemtrails were visible across the sky (chemtrails are streams of toxic chemicals released into the atmosphere under the pretext of beneficial geo-engineering), which then dispersed rapidly into a sky full of fine wispy clouds, a sign that our star kin have been breaking up and annulling the negative effects of the chemtrails. 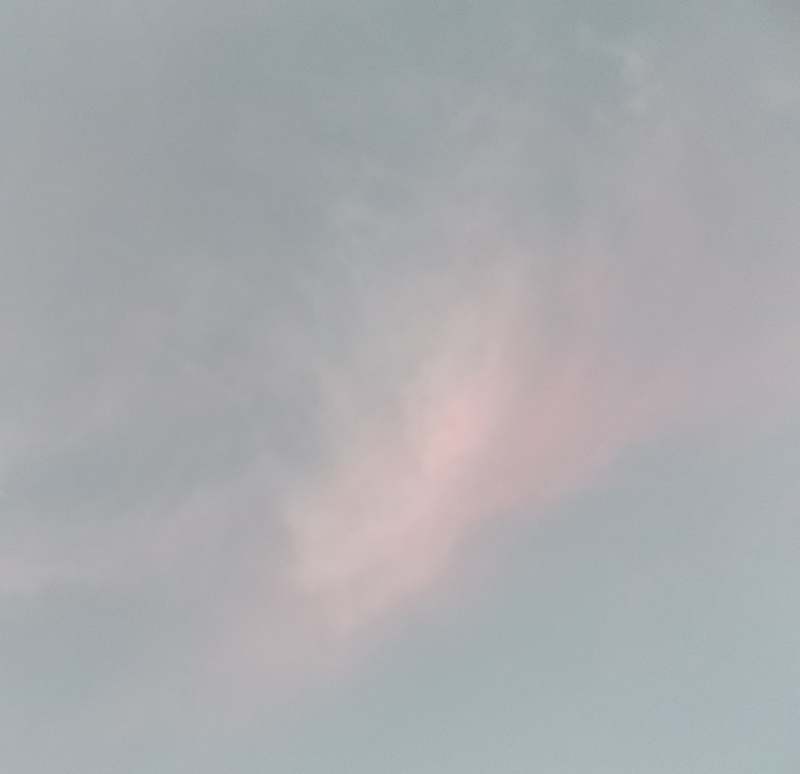 An exquisite pink-white blush crossed the clouds, an exact reflection of the colour of the Tenth Ray. 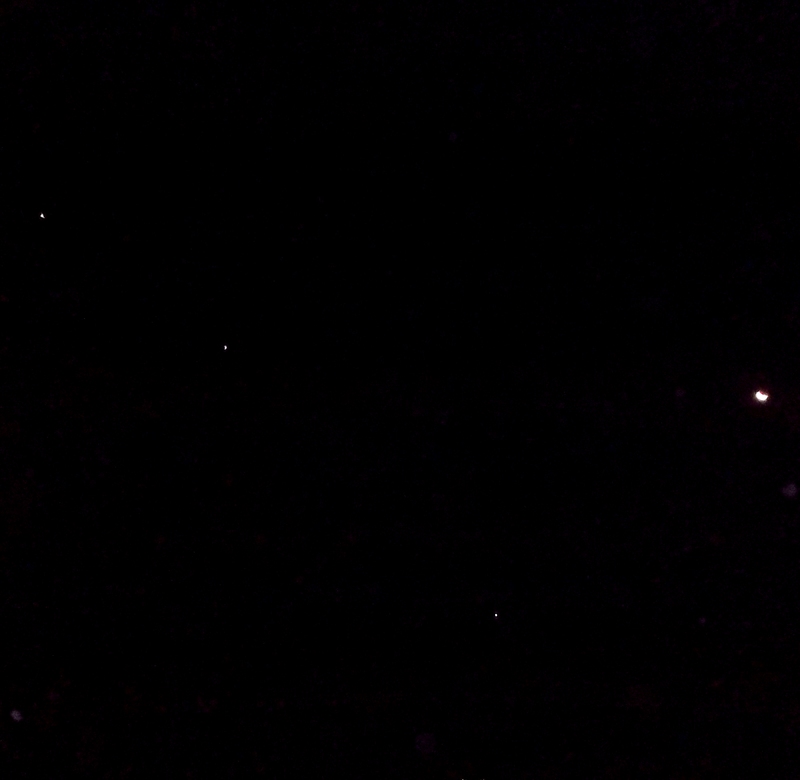 When the sky had cleared in the early evening, a ship appeared and ‘pulsed’ bright white light for a moment. 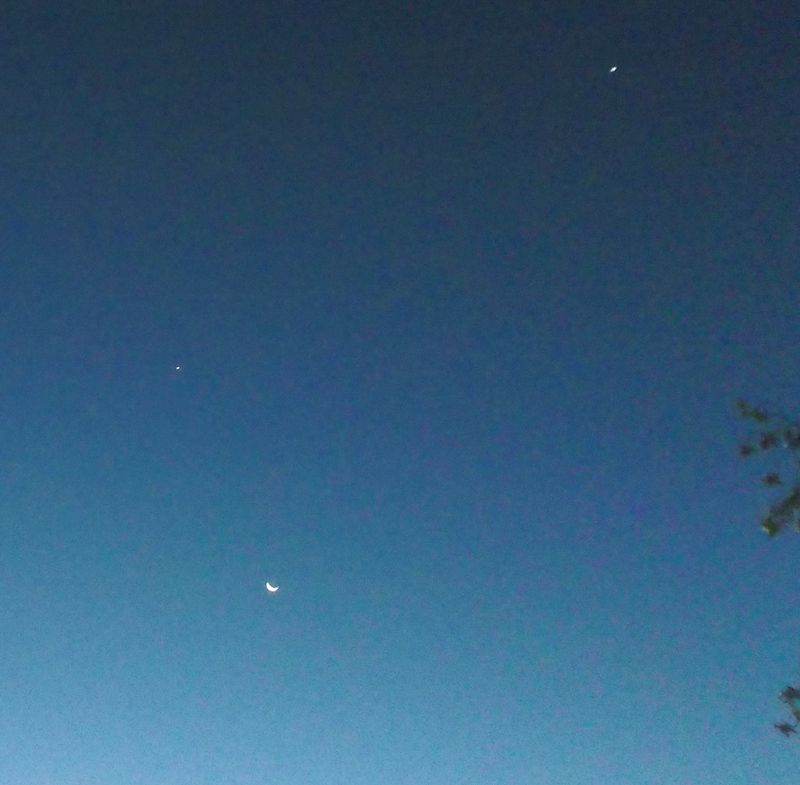 (Venus is just visible on the left hand side, ship on the right). Later that night, when not pulsing or ‘powering up’, the ship appeared as a silvery disc with a row of white lights around the rim. With this visitation came images of beautiful human-like people, and a deep sense of peace – unlike peace as humans on Earth think of it, because here it is always a fluctuating state between contrasting (and often conflictual) energies, except in the case of a few individuals who are seen as unusual enough in their inner harmony to be termed sages, yogis or enlightened ones. For higher frequency beings, this is an inherent state of being, completely integrated in who and what they are as individuals and collectively. Many of you reading this will know that when we on Earth have touched this state, our whole perspective and inner heart feeling changes – and stabilizes. 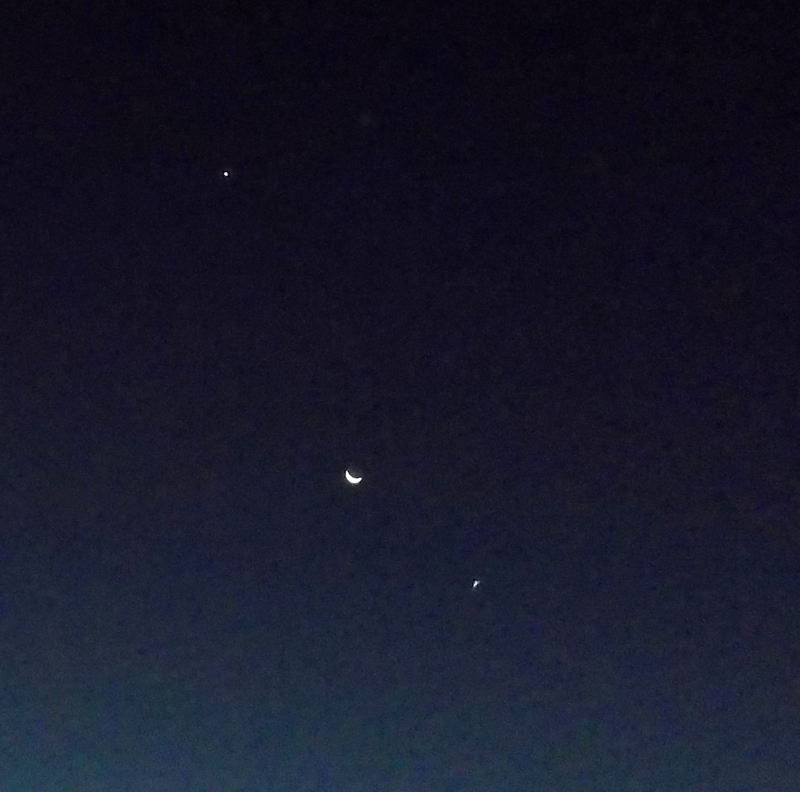 The next evening I was called outside again, to see the New Moon close to Venus. To my eyes, violet auras glowed around both Venus and the Moon, and there was a strong sense of something in-between them. 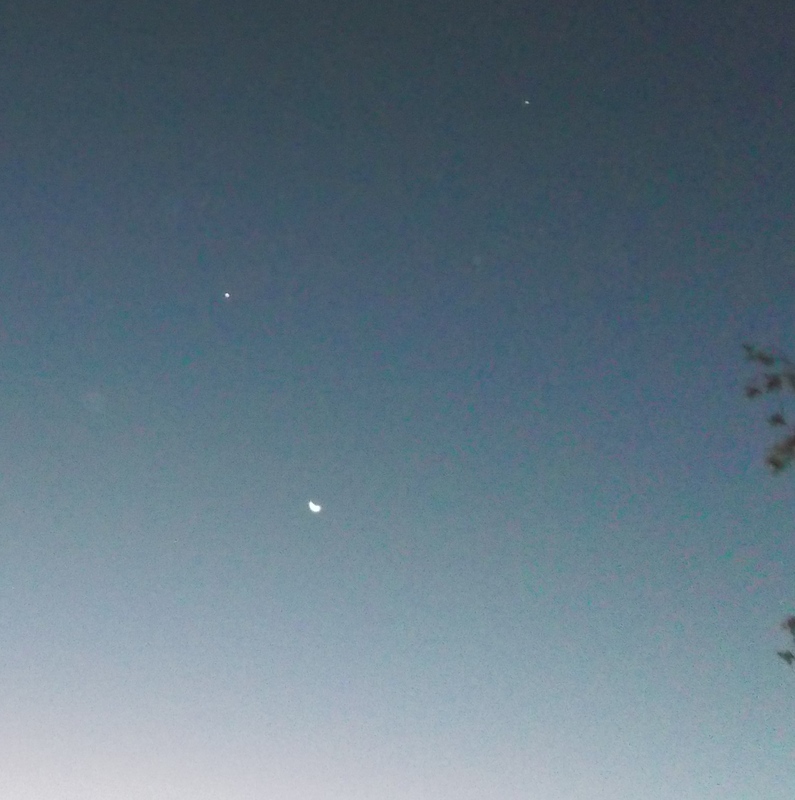 When I got back with my camera, there were white flashes of a ship hovering above Venus (in the upper right of the frame in the photos below). 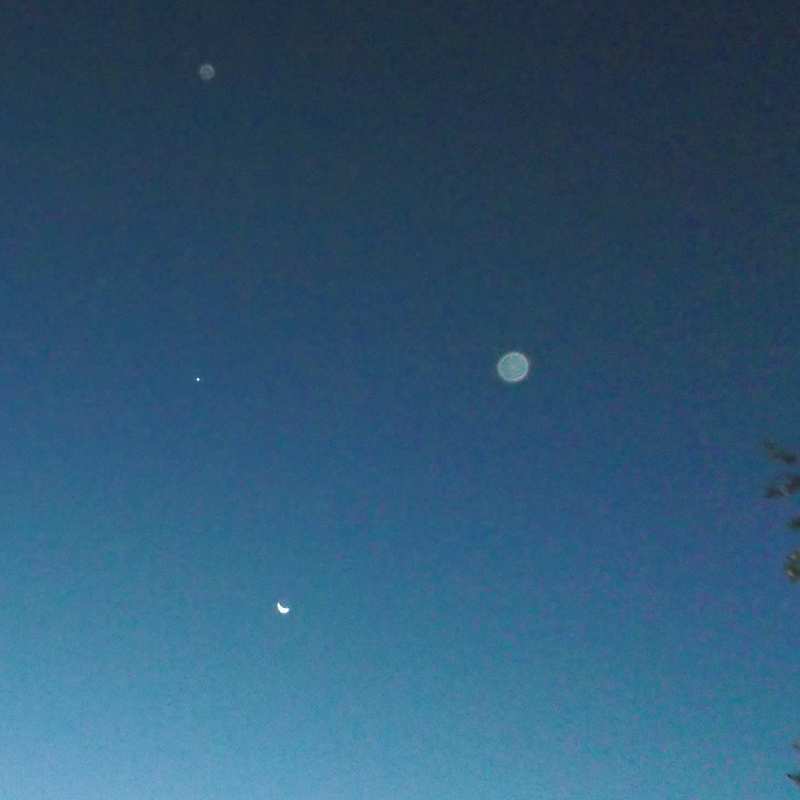 Large Orbs also appeared, not visible to the naked eye, but in all the photos, clustered around Venus and the Moon. Throughout this time, people ‘spoke’ to me from the ship, sending love. 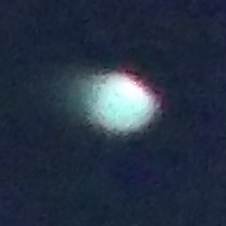 I saw glimpses on board, and also of Venus. 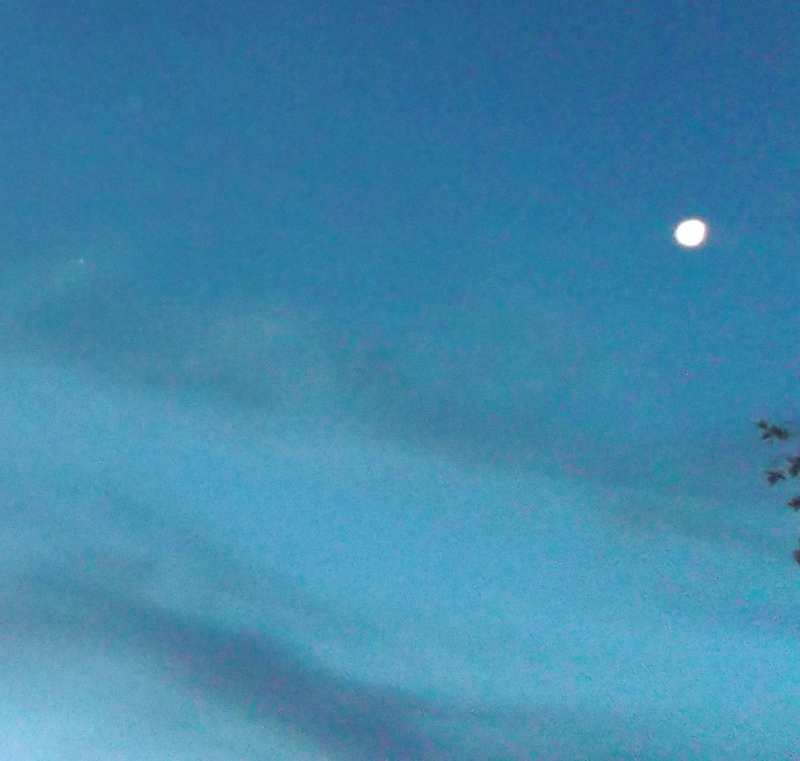 The ship then moved lower in the sky and vanished, below the Moon. 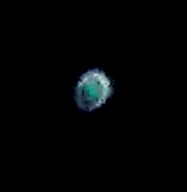 This was the same ship as the previous night; again you can see a ring of lights around the rim, but with a more pronounced green colour in the centre of the craft. They wish to give a message that their people are here in increasing numbers (along with beings from many other nations within this star system and beyond) to support Earth’s shift into higher frequencies, along with humanity and all beings here. 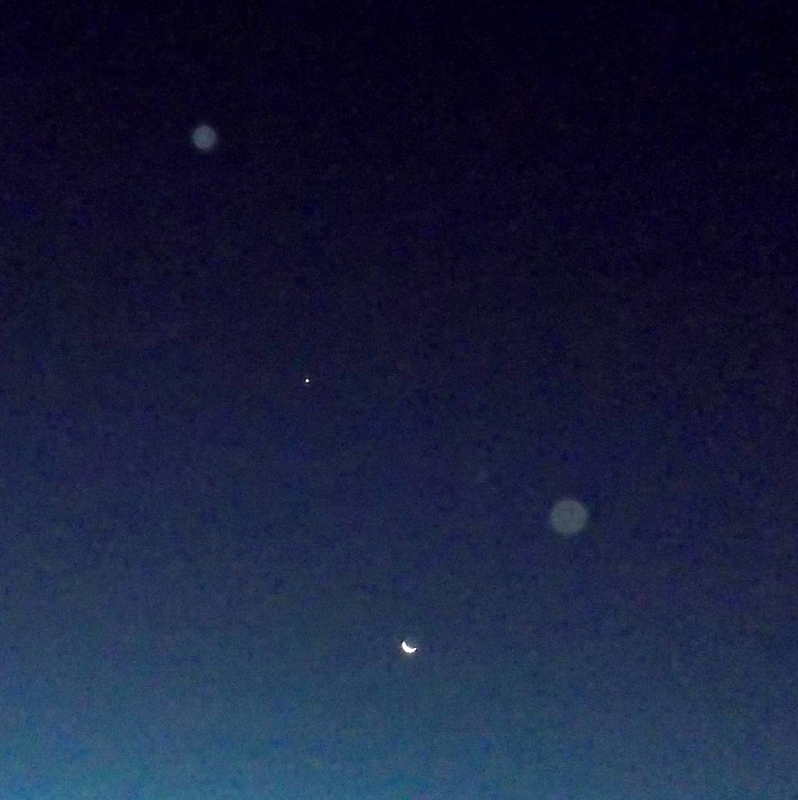 With each subsequent stellar/planetary alignment and light influx, more fleet ships are arriving and assisting the planet, its beings, and those on Earth (ground crew) who have undertaken roles to anchor and distribute higher light codes of Universal Love. 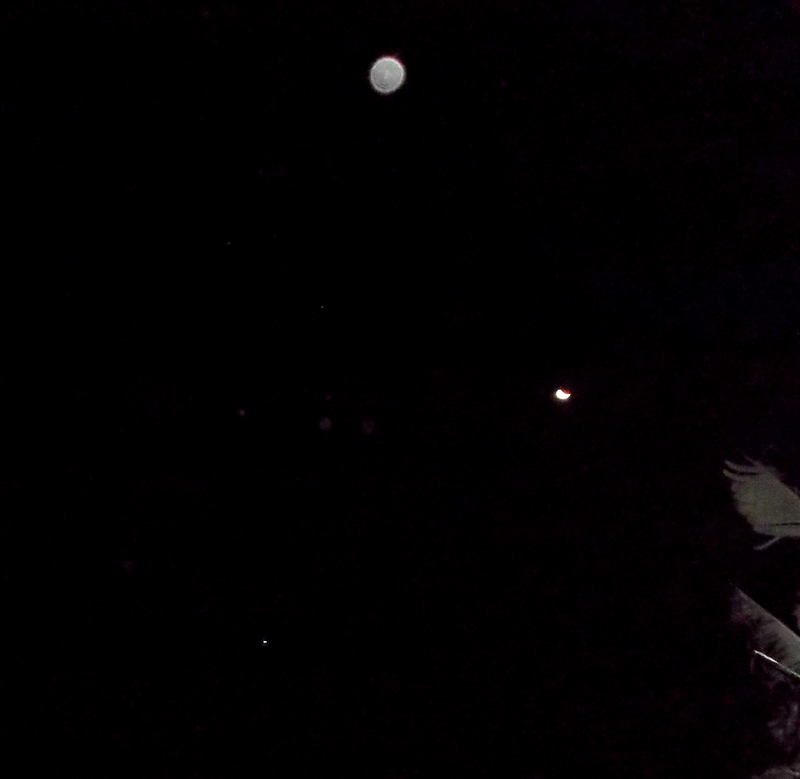 Here are two of the Orbs that were present (representations of the essences of 6D+ non-physical beings) in close-up. Both contain the projection of beings enfolded in the energy of Archangel Gabriel. 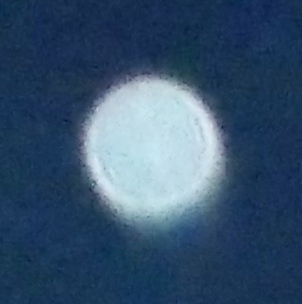 The first Orb I also feel Ashtar’s energy within. 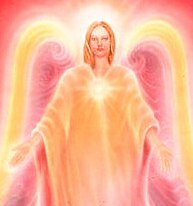 Archangel Haniel works with joy, pleasure and creational/procreational energy as a sacred art that is wholly Source-connected and transformative. Visualize your Crown Chakra opening as a white water lily, with a pool or lake in its centre. A pink diamond, AA Haniel’s gift, drops into the lake. White light comes down from Source in a column through your subtle higher chakras, through the Soul Star Chakra above your head, and when it meets the pink diamond in the the lake of the Crown Chakra lily, it descends in the form of a spinning double helix of rose light through the chakras beneath. When it reaches the heart chakra, see a ripple of rose light pulse out in a ring to all life, giving pure Love. As it reaches the sacral chakra, feel the rose light warm, purify and soften the sexual energy, aligning it with deepest Source Love. Then send the helix spinning down through your base, feet and Earth Star Chakra below your feet, and down into the Core of Mother Gaia, as you anchor this divine flow with her heart’s embrace. Crown breathe*, holding this visualization, for as long as is comfortable for you, and attune to the peace and balance spreading through your being. Enjoy the energies! Love and Namaste to all of you, to the angels, and our galactic brothers and sisters. * Crown breathing refers to imagining you are taking INbreaths through the crown of your head, then breathing out normally. If you find this hard to visualize, picture dolphins or whales and the way they breathe through the tops of their heads. They are natural crown breathers. This entry was posted in Angels, Ascension, Ashtar Command, Chakras, Dimensions, Disclosure, Lightships, Orbs, Venusians and tagged 5D, aliens, Archangel Gabriel, Archangel Haniel, Ashtar, crown breathing, crown chakra, ETs, fifth dimension, Galactic Federation, love, moon, New Moon, orbs, past lives, peace, star people, telepathy, UFOs, Venus, Venusians, visions by Joanna. Bookmark the permalink.